On October 6, 1866, thieves boarded an eastbound Ohio & Mississippi Railroad passenger train near Seymour, Indiana, and entered an Adams Express Company car. Pointing guns at Adams Express employee Elem Miller, the masked bandits demanded keys to the safes. Miller held keys for the local safe only, so the robbers emptied that safe and tossed the other off the train intending to open it later. Signaling the engineer to stop the train, the robbers, later identified as the infamous Reno brothers, made an easy get away. Unaware of what had happened, the engineer sped off into the night while the thieves congratulated themselves on a job well done. Considered the first train robbery, the incident at Seymour was preceded by a similar train burglary exactly nine months before. In early 1866, bandits entered an Adams Express car en route to Boston from New York and stole over half a million dollars from safes on the unoccupied car. As in the Seymour case, detectives from the Pinkerton National Detective Agency quickly identified the criminals. A wave of train robberies followed the Seymour incident. Within weeks, two trains were derailed and their payroll cars robbed. In 1868, an Adams Express car was attacked again at Seymour. This time the expressman was tossed out the door before the safes were cleared of over $40,000. Train robberies became frequent in the 1870s and peaked in the 1890s. 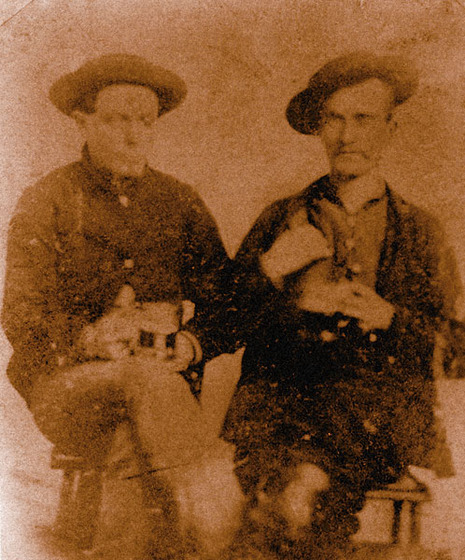 Specialists in this form of crime included the Reno brothers, who operated in southern Indiana; the Farringtons, whose escapades took them into Kentucky and Tennessee; and the Jesse James gang, who wreaked havoc upon rails in the Midwest. Hired by railroad companies anxious to protect themselves, Pinkerton detectives were seldom far behind the robberies. 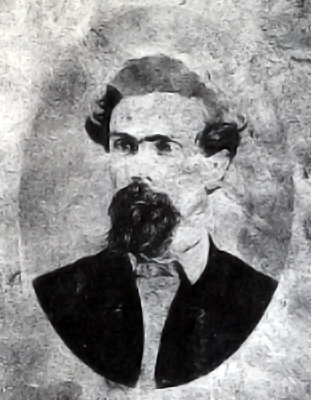 The Reno Gang was the first "Brotherhood of Outlaws" in the United States. They terrorized the Midwest for several years and inspired the creation of a host of other similar gangs who copied their crimes, leading to several decades of high-profile train robberies. Their gang attracted several new members after the end of the war. They started by robbing and murdering travelers in Jackson County and began to branch out to other counties, where they raided merchants and communities. They planned to rob their first train near Seymour; the town was an important rail hub at that time. 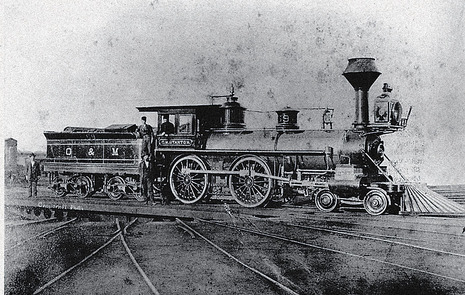 On the evening of October 6, 1866, John Reno, Sim Reno, and Frank Sparkes, boarded an Ohio and Mississippi Railway train as it started to leave the Seymour depot. They broke into the express car, where they restrained the guard and broke open a safe containing approximately $16,000. As the train moved along the tracks, the three men pushed a larger safe over the side, where the rest of the gang was waiting. Unable to open the safe, the gang fled as a large posse approached.